Then he vanished into the mist like he’d never been there at all. Being as how I’m not much of a pre-10am person this was a little befuddling. Why was our office so misty, and on a sunny day? Still, an hour or two of putting together resource packs sorted me right out. By the time he reappeared to expound on his idea, I was alert as a tack. It came as a result of reading my post about the ‘End of Books?’ debate at the book festival a couple of weeks ago, he explained. Some of you may remember that in said post I waxed lyrical about how paper books are the best thing evar, and only old people have kindles, like, people in their thirties and stuff. Well hopefully my actual argument was a bit more eloquent, but that was the gist. Bob’s suggestion was essentially to put my money where my mouth was. Naturally I accepted this challenge in the guise of a kind offer. I’m pretty sure he doesn’t work for Amazon in his spare time or anything like that, so there’s no ulterior motive. Unless there’s some kind of subconscious aversion to paper hidden in his past, and he’s now on a mission to get everyone in the world to read everything electronically so that paper becomes obsolete? Take that, T’sai Lun (Chinese chap who may have invented paper around 105 AD)! Doesn’t seem likely, doe it. And so, the upshot of all this is that we are about to enter what you should all refer to as THE GREAT KINDLE CHALLENGE (incidentally, if you’re reading this aloud for some reason you should always shout that part out. I don’t use caps lock lightly, my friends). Aren’t they beautiful? Particularly The Blue Book, which has tinted all the page edges blue too… Very pretty. These are a mixture of purchases from the book festival shop, the internet, and charity shops. Oh, and Fopp. I never mean to buy any at all, yet I accumulate them wherever I go. Books are the thing I am most likely to spend too much on or buy on impulse, far more than your traditional retail therapy of shoes or nail polish or whatever it is women are meant to get excited about. I like the shape of them and the look of them, and that’s why I can’t envision the kindle taking their place in my heart. However, there’s only one way to find out. Let THE GREAT KINDLE CHALLENGE commence. Yes those books do look nice! The Kindle is great especially if you don’t have much space. A lot of books aren’t available on it yet though, and if they have images or are the kind of reference book you want to flick through and look back at often then forget it (though the ability to take notes is brilliant). That’s interesting, cause at the ‘end of books’ debate at EIBF one of the speakers said there was a survey at an American uni where they asked all the students if they would rather have full access to textbooks online or a paper version and something like 80% said they’d rather the physical copy. In terms of the finance I guess it’s one big payment, but then you get your books for much cheaper than if you get paper copies. 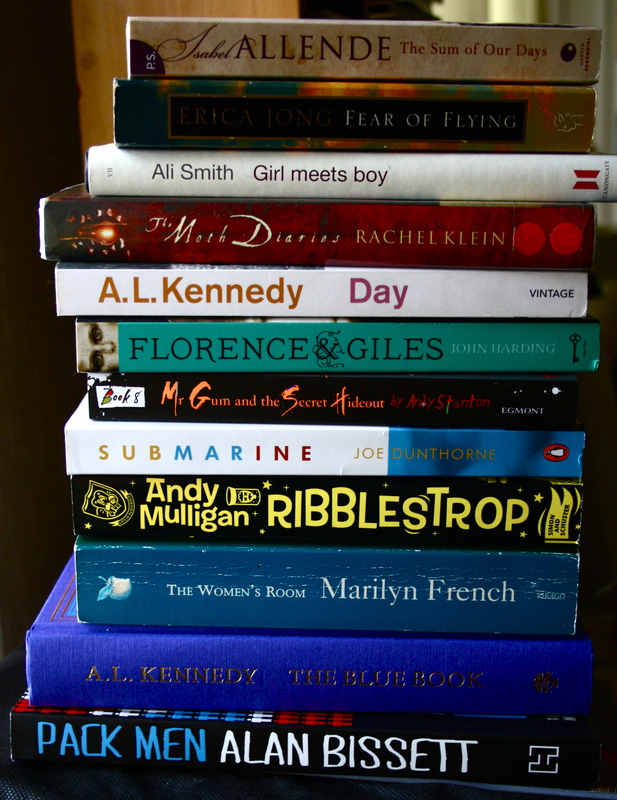 Although that might only apply to new books coming out – if you frequent charity shops and buy second hand books online you’re probably going to spend about the same?